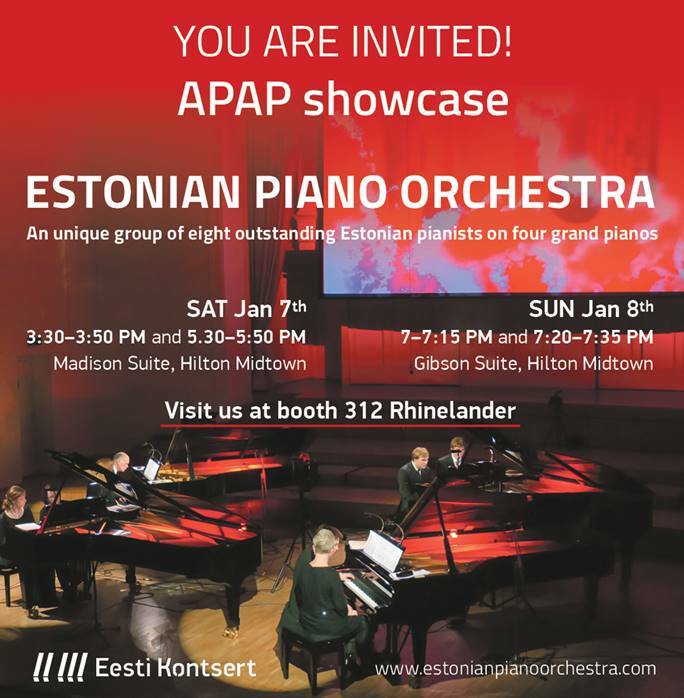 January, 6-10, The Estonian Piano Orchestra will perform in the APAP conference in New York, presented by the Eesti Kontsert / Estonian State Concert Agency. (details below). 8 pianists on 4 pianos will perform works of Gavin Bryars and Estonian composers Rein Rannap and Urmas Sisask.